A moving walkway could be a great addition to a courtyard, airport, or even a mansion. It's very unique and simple to do! If you end up incorporating this tutorial into one of your designs/builds, be sure to post it to the community corkboard for all to see! This past workshop went really well, and because we finished early, we ended up doing a 2-in-1 tutorial! We went over not only how to create a moving walkway, but also a moving furniture technique! You can check that tutorial out here if you missed out. If you like to follow along to video tutorials, check out the video walkthrough below. If you prefer to see the steps written out, scroll down to read through them! 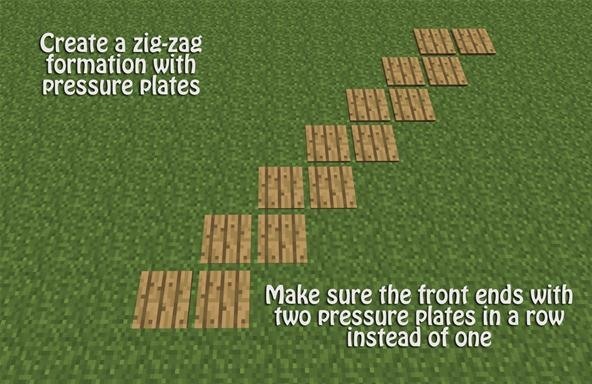 Add pressure plates on the ground in a zigzag pattern. To make things easier, be sure that your pressure plates at the front end have two in a row instead of one. 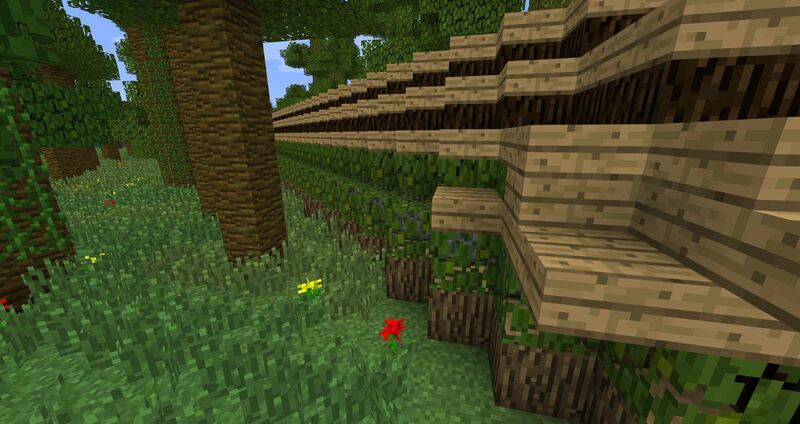 At the front of your walkway, begin to add walls. 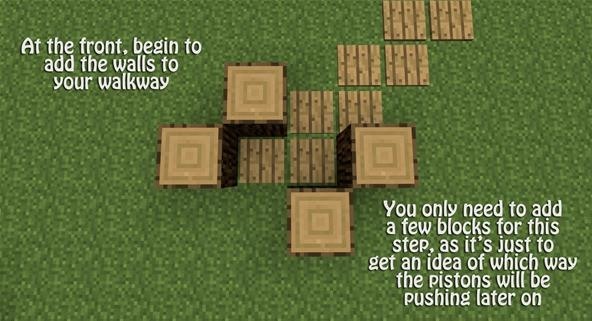 You only need to add a few blocks for this step; each block will only be one tall. 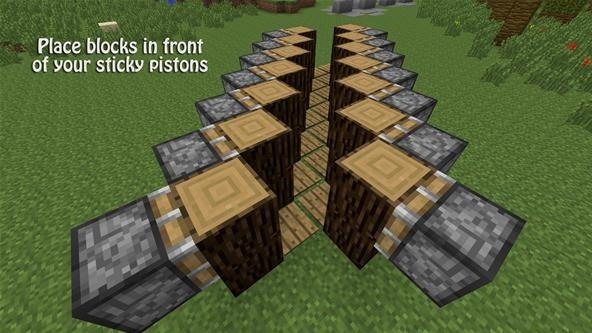 This step is to just get an idea of which way the pistons will be pushing, which will help for the next step. Dig out holes along the sides of your pressure plates. 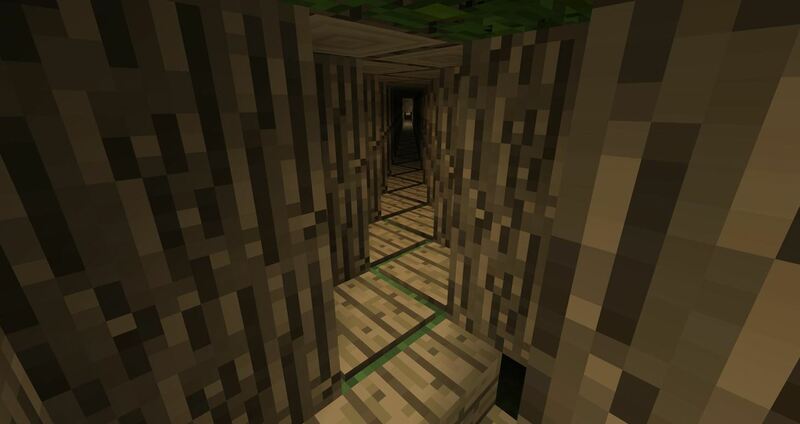 These holes will only be one block deep. 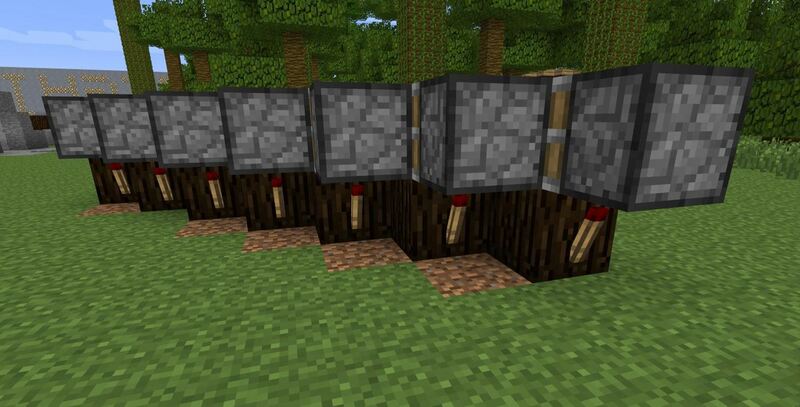 Add redstone torches directly behind the block that each pressure plate is on. 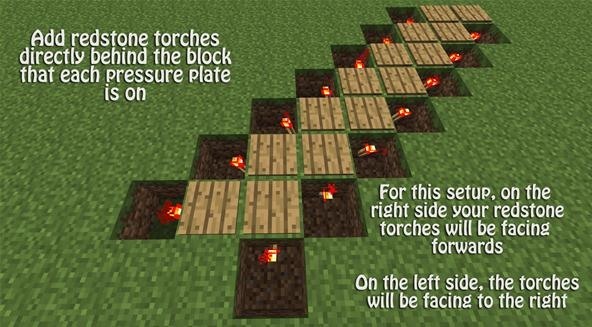 For this setup, on the right side, your redstone torches will be facing towards the back of your walkway. 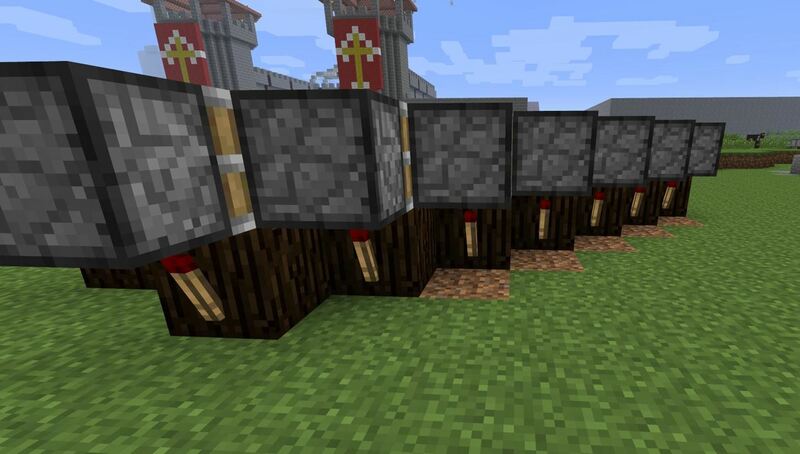 On the left side of the walkway, the redstone torches will be facing to the right. 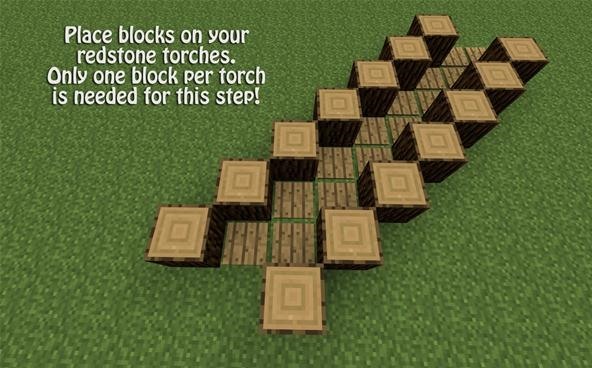 Place blocks on top of the redstone torches. 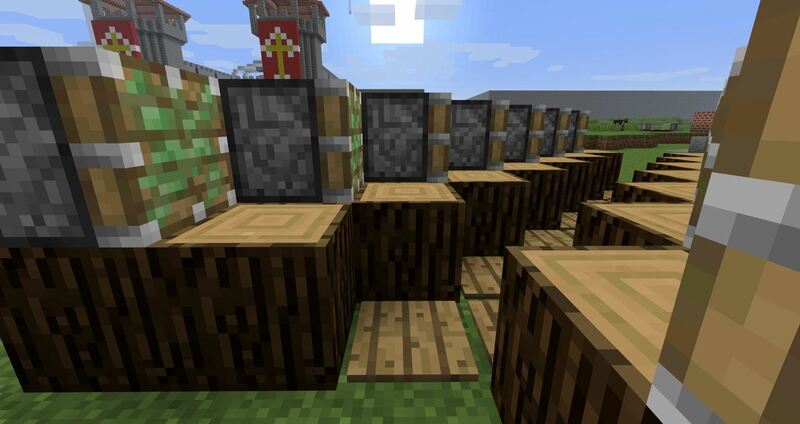 Only one block per torch is needed for this step, and you will see your walkway start to come to life! 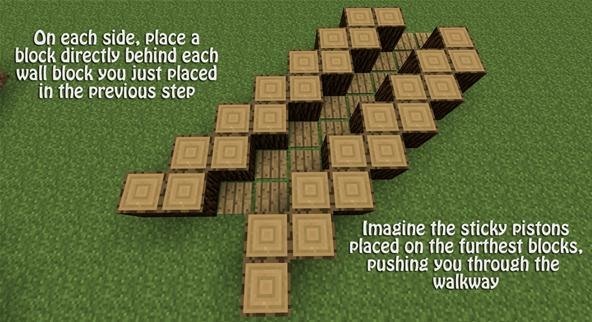 On each side, place a block directly behind each wall block you just placed in Step 5. 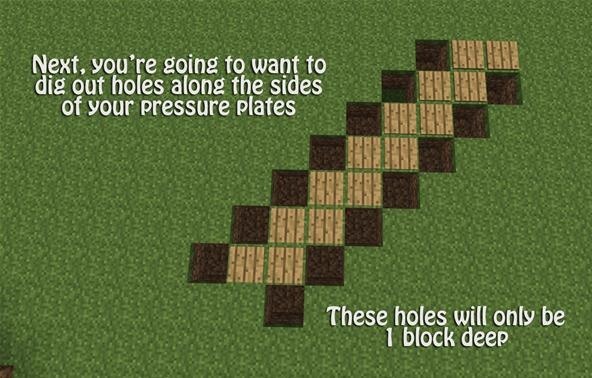 You can use any material you want for this step, as we will later remove these blocks. It helps to imagine the sticky pistons placed on the furthest blocks (facing towards the pressure plates). Begin placing your sticky pistons down. 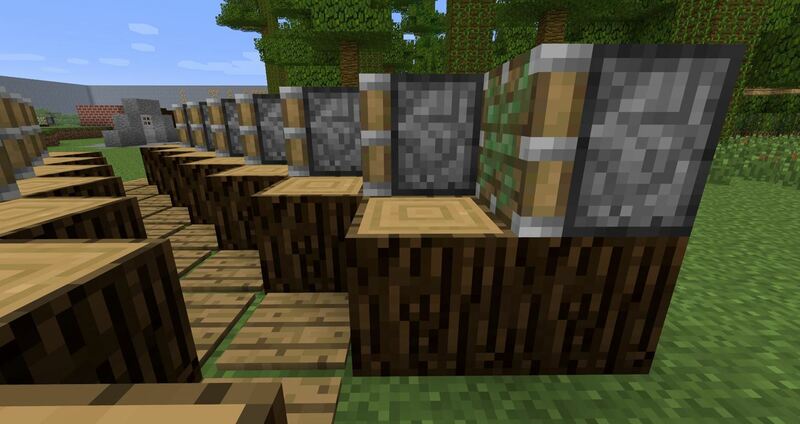 Your sticky pistons will be placed on the furthest blocks on your current wall, one block above the ground. On the left-angled side, the sticky pistons will be facing the right of your walkway. On the right-angled side, your sticky pistons will be facing the back. 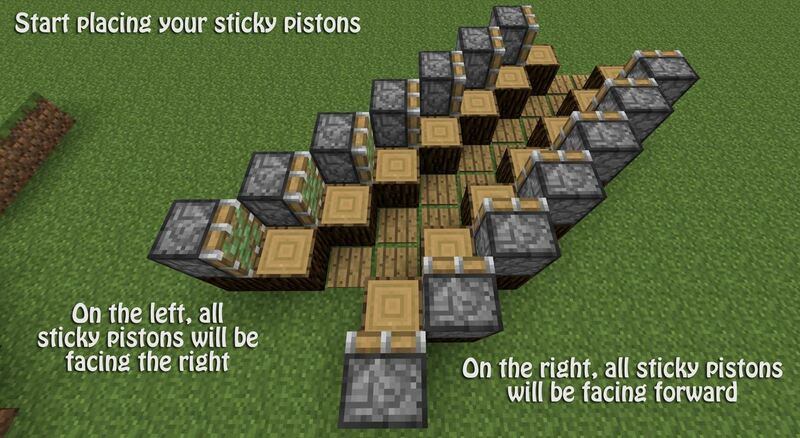 Remove all of the blocks that are below your sticky pistons, on both sides. 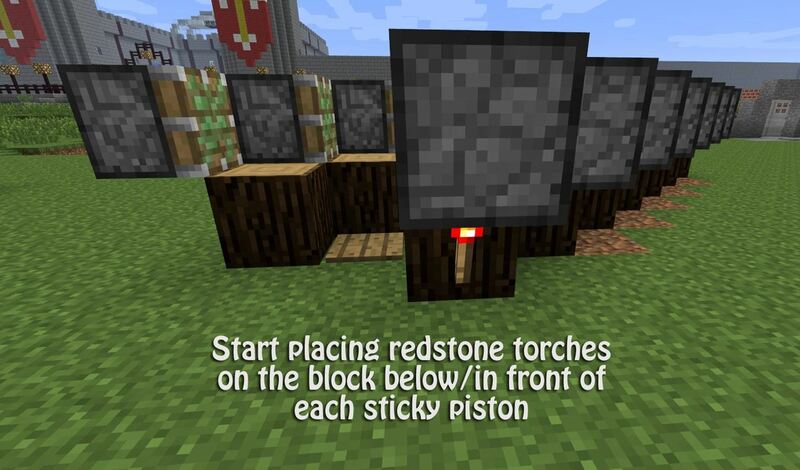 Go through both sides and place redstone torches below each sticky piston. Don't freak out... it's normal! 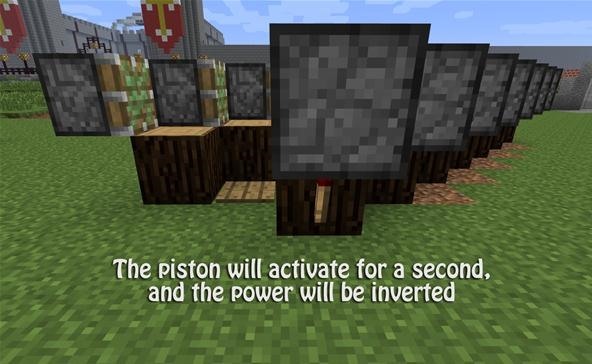 Your pistons will activate for a split second, then shut off. 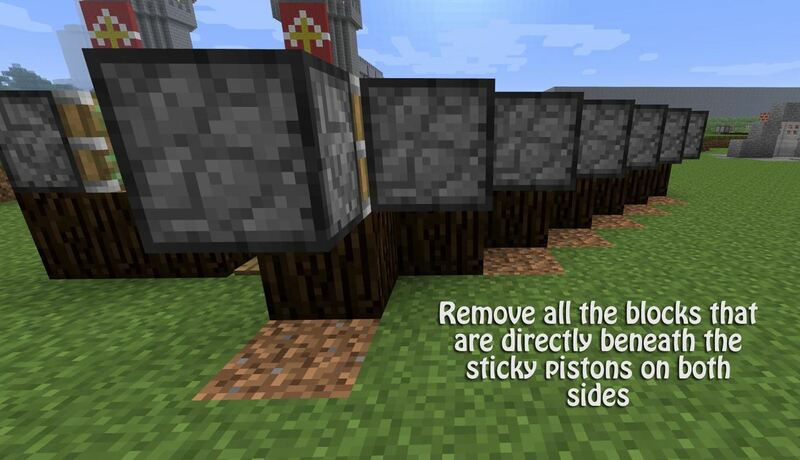 Place your building material in front of each sticky piston. 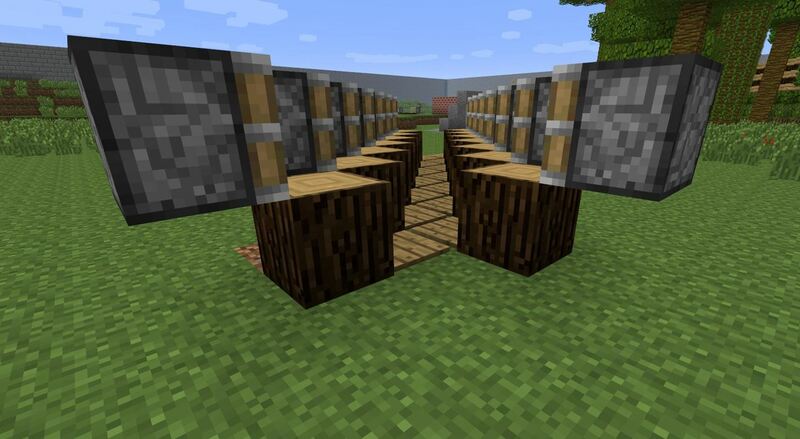 These are the blocks that will push you through your walkway! 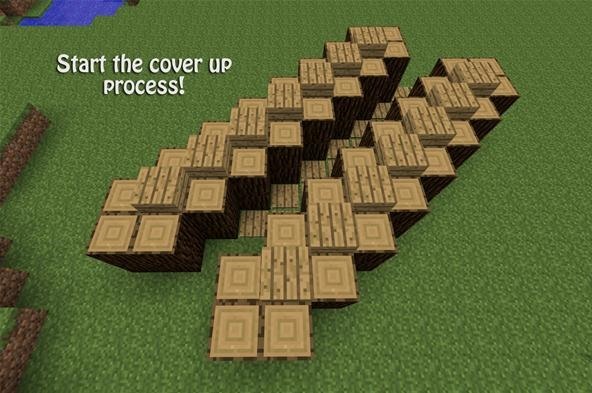 Cover up the outside of your redstone, and make sure no redstone is showing through! After all, the whole point to a compact design is to be able to hide everything nicely! Blend your walkway in with your surroundings. Our walkway was outside, so we decided to add logs, leaves and wooden planks to give it a tree house feel.